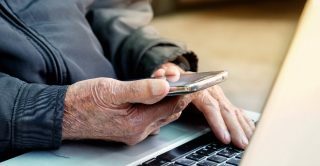 Use of a car, mobile phone and the internet offers some protection against social exclusion for older adults with poor health, says a new University College London study. Designing age-friendly hardware and software might prevent social exclusion and have public health benefits. The study, Health and social exclusion in older age: evidence from Understanding Society, the UK household longitudinal study was carried out using four waves of Understanding Society. Professor Sacker, author of the paper, comments on why this area needed to be studied, “When investigating the relationship between health and social exclusion, poor health is often considered as i) a predictor or risk factor; ii) an indicator of social exclusion; or iii) an outcome of exclusion. The variety of ways that health is used hampers our understanding of the processes linking poor health with social exclusion. Among older people living independently in the UK, poor health was associated with greater social exclusion and, in turn, social exclusion was linked to health decline. The researchers found that poor health predicted social exclusion one to two years later. Use of a car, mobile phone and the internet were identified as factors that might support older adults in poor health and help break the downward spiral in wellbeing. Why was longitudinal data needed for this research? The role of car access suggests that alternatives to the car, such as improved public transport and taxi schemes for the elderly, might also be able to prevent social exclusion. The paper: Sacker A, Ross A, MacLeod CA, et al. Health and social exclusion in older age: evidence from Understanding Society, the UK household longitudinal study. J Epidemiol Community Health 2017;71:681-690. N.B Please note that this news article has been reposted from the Understanding Society website.